Every two years, the National Senior Games Association hosts its national competition. 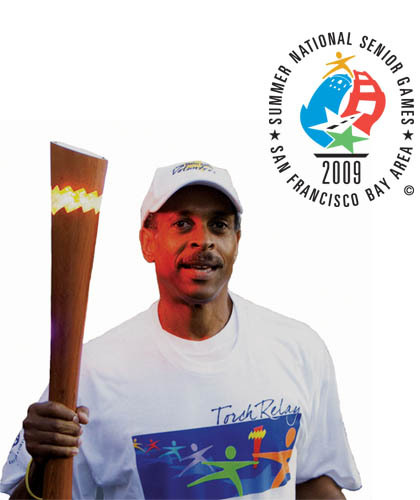 In 2009, the Bay Area Sports Organizing Committee produced the Summer National Senior Games, hosting some 15,000 athletes from around the country. Events were held at a variety of facilities on the Stanford University campus and at venues throughout the Bay Area. A graphic identity for the Games must effectively brand a disparate array of games media within a limited budget. Further, site branding at venues around the Bay Area must be easily produced, constructed and removed within a mere 14 days.